We love those moments when students are practicing multiple skills with one activity… and they don’t even realize it. Priceless! Want that victorious feeling again? Try this activity that’s perfect for lower grade classes working on representing and interpreting data. 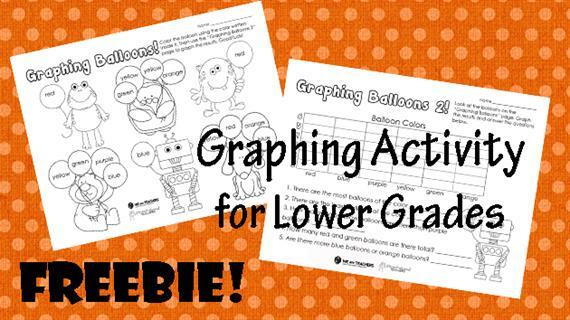 Students will read color words, color balloons accordingly, graph the results, and then analyze the data shown in their graph. That’s at least four skills in one whack! 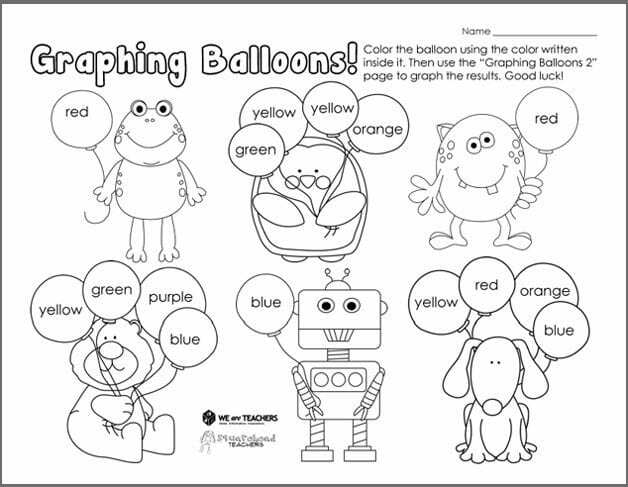 After doing this activity on paper, you could give each kid a balloon and then graph the balloons in your classroom. Just be sure to go over balloon etiquette first, or your classroom could get a little too exciting! Squarehead Teachers has taught a variety of grades ranging from kindergarten to higher education in the United States and abroad. She enjoys SCUBA diving, bright colors and cookies. She likes to share teaching ideas and free teacher materials on her blog, www.SquareheadTeachers.com.